Finally, after years of hardship, you have made it here; your home, the place where you will make your stand and raise your families as a community.Traditions will change over the generations, as the community tackles crisis after crisis. Pass the breadsticks, will you? 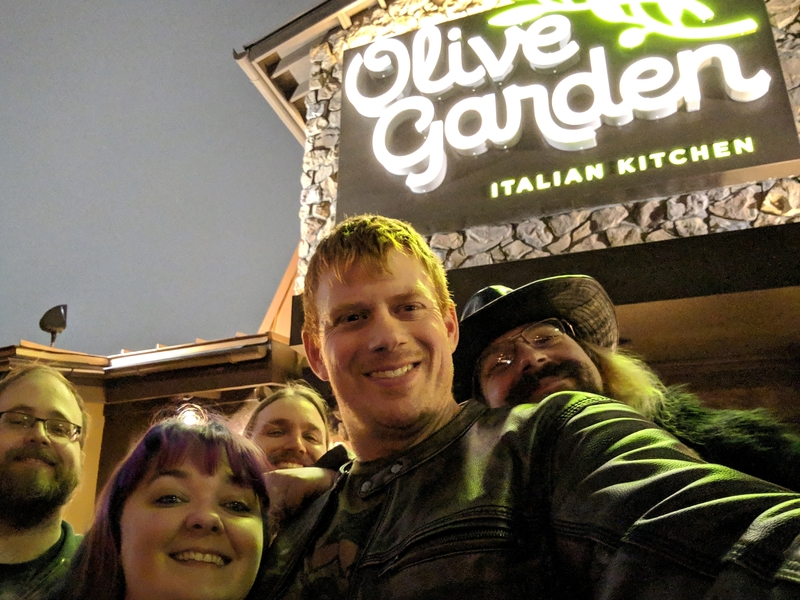 We played When You’re Here, You’re Family at the local Olive Garden.The game is by Jeff Stormer. Yes, this is a real game. I’m guessing, from left to right: David, Renee, Aaron, Ross, Jason. You really think Jason can rock a patchwork leather fedora and a fur coat? I mean, he *could* but the question is *would* he?